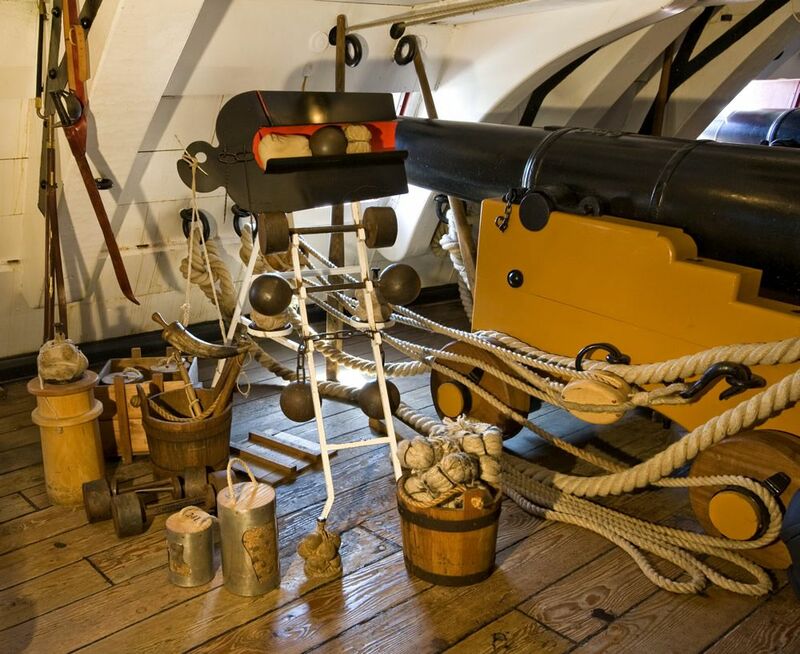 View of a gun on HMS Victory (launched 1765) together with various kinds of shot and powder. This Gun, Powder and Shot on HMS Victory Art Print is created using state of the art, industry leading Digital printers. The result - a stunning reproduction at an affordable price.